That wonderful time athletes dream about when in the midst of competition season. Time to sleep in and time when you might actually have some free time not devoted to swim, bike and run in your day! The time to eat those foods you have restricted from your diet for the last 9-10 months! 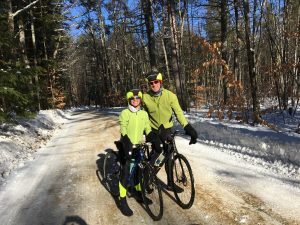 Time to workout with friends by enjoying training outside of your event training plan, such as, mountain biking , cyclocross racing, hiking, yoga, snowshoe running, cross country skiing….the list is endless. Why do we struggle doing those things when the time comes around? Going from a structured workout plan to a non structured Out-season can be difficult especially for a highly motivated multi sport athlete . Fear of loosing fitness, change in body composition and guilt of not exercising for a specific event are all very real for many athletes. There are so many positives from taking an Out-season! Giving back to family and friends by spending more time together …maybe not even wearing spandex! Take time to reflect on your latest race season, identifying strengths and weaknesses. What felt good during the year and what didn’t. Are you able to give back to the sport by planning some volunteer work into your next year’s schedule. Set your goals for the next year and future years. Consistency is key to success in multi-sport. Not just during race season but over many years. Work you put in to recovering your mind and body will pay dividends in the years to come. Build Speed: Out season is a perfect time to work on speed and intensity. As you work on higher intensity the duration of that effort is shorter. Short hard sprints raise power and speed. Working this into your out -season safely with guidance from your coach can give you a stronger and faster base to work with when you move into prerace and race specific workouts. HIIT: High Intensity interval training. Scheduling when to perform these workouts within your weekly schedule is highly athlete specific. Reviewing how your body absorbs and recovers from this type of stress with your coach is very beneficial to ensure your schedule is specific to your needs. Running: Working on over-recruitment from very high speed work. Build strength: we are not getting any younger, aging changes muscle fibers decreasing strength. You have an opportunity to improve strengthening techniques by working with your coach. Technique: a chance to work on drills that will improve efficiency with your swim, bike and run. Downtime: take the down time without the mental stress of racing. It is ok to loose some fitness. As a motivated athlete you will be able to turn it back on once the training season start. Start working now with your coach on your annual training plan for 2018. Take the time to really think about your goals, what it takes to achieve those goals and how to fit that into your current life style. It’s the perfect time to identify what you can focus on prior to the start of your first endurance training block. I am in the process of setting my goals for 2018 and 2019. I will be competing in the worlds long distance duathlon Powerman Zofigden in Switzerland for Team USA. This is a 10 km trail run, a challenging mountainous 150 km bike ride, followed by another 30 km trail run. My personal goal is to build strength to endure this event, dial in my nutrition to fuel correctly for the event and practice mental strategies to tackle the tough times that will happen during the event. And they will happen! 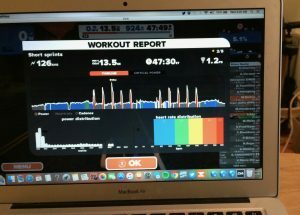 By working on these techniques in the Out-season I will increase my ability to pick from strategies that I know work specifically for me come race day. Currently I’m working on the specific exercises that strengthen my legs to endure the longer run. Some examples, identified through my research, are calf, gluteal and hamstring targeted exercises to maximize the strength and work required for a strong run with decreased risk of hamstring injury. I’m also working longer term, on swim strength for a long course triathlon event that is a goal for 2019! Out-season is a time of no pressure, a time to learn what works for you as an individual and what doesn’t. Sharing your goals and race season plans with your coach early will allow your coach to identify how long you take for an Out-season and what you can do with that time. It might be absolutely nothing which is ok too in some circumstances. Out-season can be just like a vacation by the time you are into it and enjoying it, it is over. -Work on swim technique without the pressure of a race schedule. 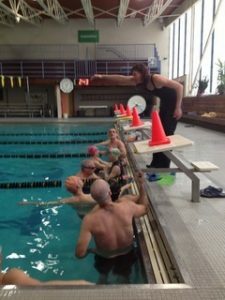 It is the perfect time for your Peak Triathlon Coach or swim expert Stacy Sweetser to do a swim analysis. -Time to work on strength without the concern of delayed muscle soreness affecting a scheduled key run bike or swim. Out season schedule is flexible! You can learn how your body reacts to specific strength workouts. Working with a coach you will then be able to build the strength workouts into your annual plan as you will understand your bodies reaction to strengthening. This entry was posted in , Kathy Key. Bookmark the permalink.